Chennai Super Kings is a strong contender in almost seasons of IPL. It’s a team who plays all their games being calm and steadiness .They are known for their consistency and team spirit which are keeping morale high and great enthusiasm to play the game in same pace. 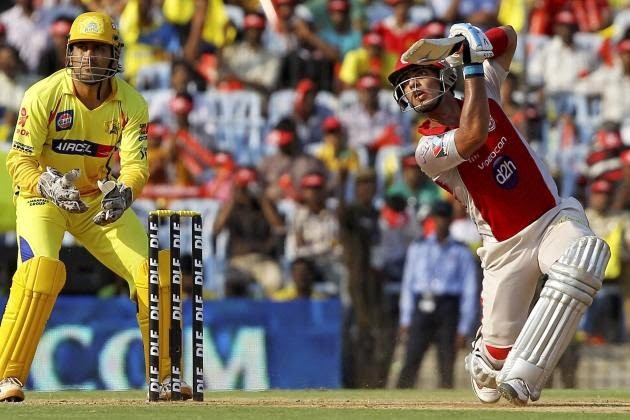 In their recent match with Kings XI Punjab they had to face tough time with them. Though the target set by them was high but had put Punjab at various times in a tough situation which helped Chennai to limit their score. The team is seems to be a big threat for the opponents as Raina, Dhoni, Bravo, Plessis are some of the players in batting line up who are in good form but that day it was not favoring their luck. The team was struggling to chase the massive score of 231.Unfortunately the wickets of Chennai went down one after the other, says Vaikundarajan. It has impacted great pressure over the team as they could build the partnership to set runs and the bowlers dint spill their spins to get the wickets of Maxwell and Miller at the early stage which enabled them to set a huge target. It will delightful to see the Chennai back to action in further matches and holds the first rank.